The true test of fresh made cheese—whether it comes in long, plump curds typical of La Chaudière cheeses, blocks, slices, or cubes—is the sound it makes in your mouth. 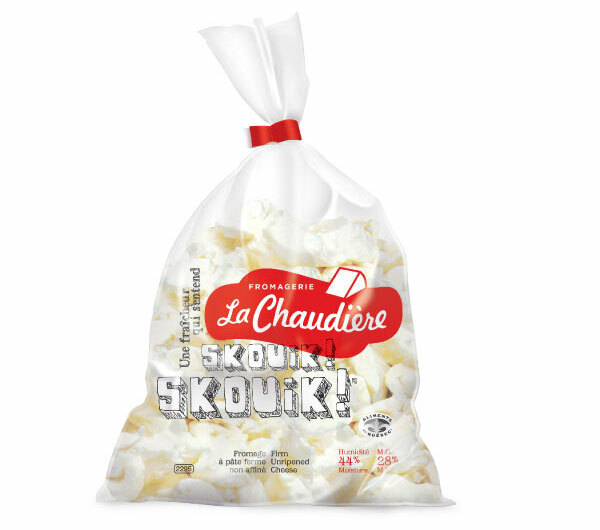 Skouik! 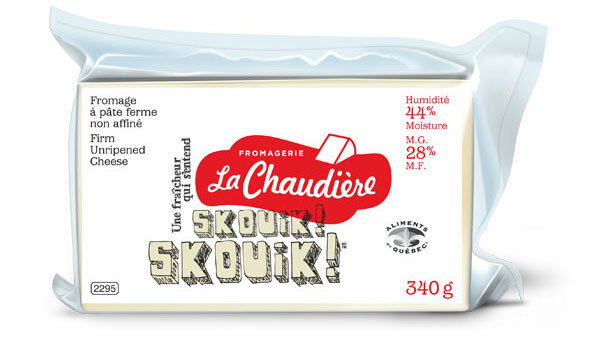 is a popular soft cheese that resists pressure slightly, but is deliciously tender enough to melt in your mouth. It’s an acoustic jam session you never get tired of!